The advent of winter has exposed how a community’s constant fights for electricity have been ignored. 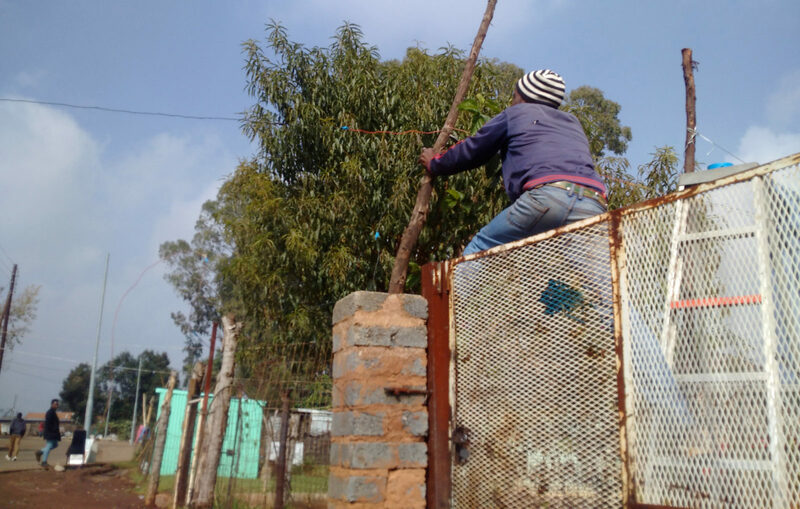 Clashes over electricity among Protea South community members have reached boiling point, with desperate residents stealing from neighbours and in the process damaging electricity infrastructure and setting the government and community back. 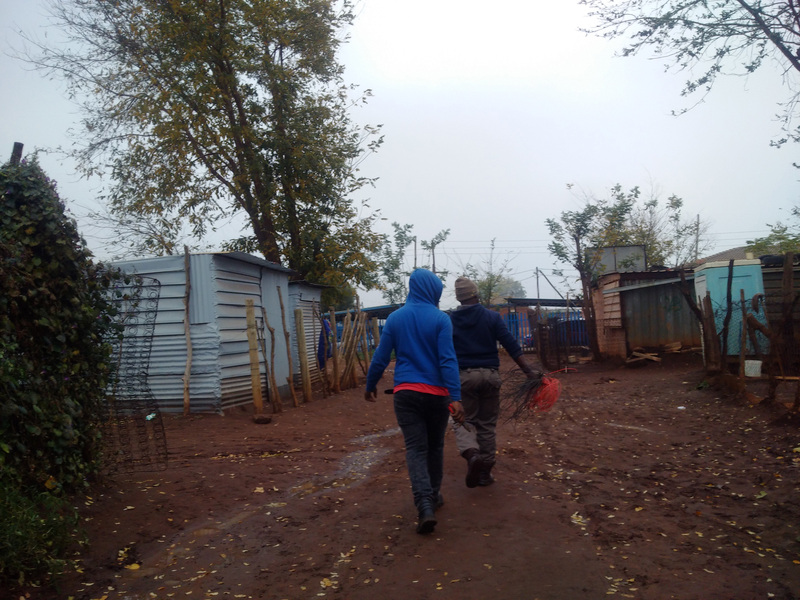 Conversations raged and tempers flared in the informal settlement of Protea South in Soweto on the same day that a rare cold front hit Gauteng – a curtain-raiser for the hard winter ahead. Every early winter, community members fight over electricity. If it wasn’t for messy delivery of the scant services by government, residents would in all likelihood not be fighting one another. The fight for electricity in the area culminated in a three-day violent strike in August 2012, which resulted in multimillion-rand damage to infrastructure such as traffic lights, roads and road signs. The community has been fighting for electricity ever since. Although an electricity project was finally delivered in the area a few years after the riots, some people in the same community were left out. Some community members were connected, others were not. The exclusion of other community members triggered a rift among neighbours. Those without a connection began stealing electricity from those who had, or they connected illegally from electricity transformers, putting them under strain and causing them to burst. In most instances the burst transformers are never fixed, which then leaves even those with a connection in the dark. This further fuelled tensions among community members, most of whom had known one another for years, and also added to the backlog. “Officials who we know are taking money from residents and newcomers, promising them electricity wherever they will be allocated stands. The people who pay bribes are also connected ahead of people who had been in the area for years,” claimed activist and community leader Manns van Wyk. The area’s councillor Joseph Matjila said he was not aware of this happening. Maureen Mnisi, a DA leader in the area, said the newcomers in the area were a huge concern because they wrestled for the limited resources with locals and added to the backlog. Mnisi pleaded with the City of Johannesburg to intervene. She said people were now also making illegal connections on street lights, and that this damaged the lights and plunged the whole crime-ridden area into darkness. 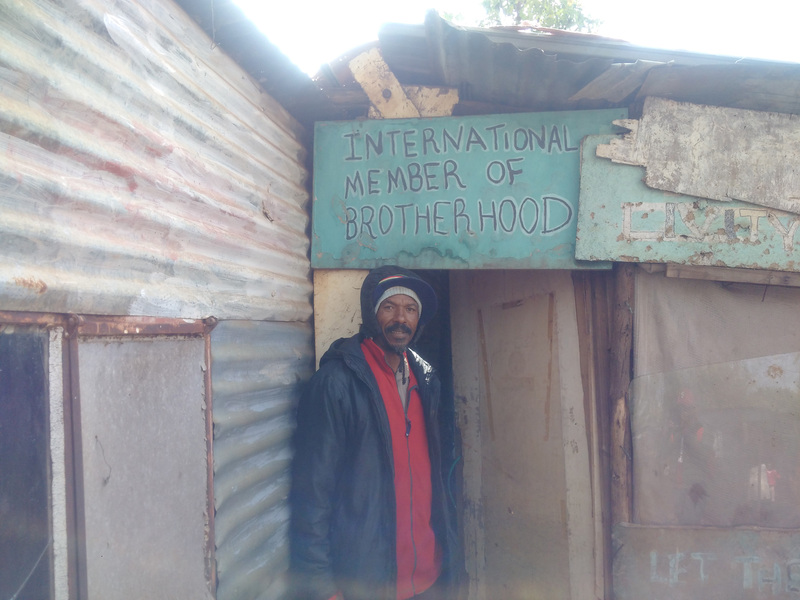 On the issue of the new shacks mushrooming everywhere in the area, Mnisi said the councillor knew what was going on. “The councillor is being economical with the truth. He lives in Protea South and also assisted the previous councillor in her duties. He cannot claim ignorance now. He will obviously deny it,” Mnisi said. She said consultation with residents was never done when the electricity project was delivered. Recently people from outside were given first preference when another phase of the electricity project was rolled out. “The number of families arriving in Protea South is growing every day through the hand of the area’s Town Manager, Ernest Rambau, and those close to the project. He is well aware of this, and instead of sorting it out the outsiders get electricity ahead of locals,” added Mnisi. Residents said they met Matjila two weeks ago. “He promised to talk to Eskom to provide us a temporary connection while a permanent solution was being sought. The seven days he promised residents to speak to Eskom lapsed, after which the community called a meeting in which they would decide to strike. “They are busy erecting street lights when we need electricity in our shacks. That’s senseless,” said Aubrey Mudau, a spokesperson for the community without electricity said. “Electricity is a commodity, whichever way you look at it. We want electricity,” 29-year-old Asolf Duze said. Stanley Gumbi, 40, who has been in the area for 19 years, said he was shocked when neighbours all around him were connected while he was sidelined. He attributed the mess to poor planning and lack of commitment and consultation on the part of the council office. A litre of paraffin costs R11 and a candle costs R3 in the township. The community is made up of residents from other countries, especially Mozambique and Lesotho. Even more so after some community members who qualified for RDP houses were moved to Lufhereng from 2010. Lufhereng is a development area in Doornkorp, Johannesburg, about 25km from Protea South. Of the 6,400 families in Protea South, 1,200 families were relocated to RDP houses in Lufhereng at the beginning of 2010. This left 5,200 families of which 1,600 fall on the list of the overflow, according to the municipality’s report. Councillor Matjila said about 1,300 families were on the overflow list. A fight for electricity among residents last Monday drew the attention of the councillor who told residents to meet to try and sort out their differences. “I have been here for years and don’t understand how I fall in the overflow list when people who arrived recently were connected ahead of me. I don’t even understand what this overflow is,” Gumbi said. Residents who are part of the overflow are scattered around the zones, and not concentrated in one particular area in the township, making it difficult for residents to understand how the determination that they fall in the overflow list was made. “The current councillor is eluding questions how the overflow will be dealt with. There wasn’t as much pressure on the previous councillor to effectively deal with the 0verflow because people used illegal connections. But since then there has been much damage to the electricity infrastructure,” van Wyk said. Last week, as tensions boiled over, Van Wyk exchanged blows with local ANC politician Abednego Makhubela. “He told me during a confrontation that I don’t scare him. He also accused me of encouraging the blowing up of electricity transformers, and that is when I released a blow and we fought,” Van Wyk said. The other problem in the area is that some of the people with a connection also have illegal connections, which some of them connect for neighbours for a fee, but no one seems to care what the repercussions of this are. Others target transformers so that everybody remains without electricity. Residents said nothing will stop the war over electricity because if this were possible it would have materialised a long time ago. Community members said they will be meeting again on Sunday to chart the way forward. But many agreed that the only way forward was to strike again. MMC for Environment and Infrastructure Services Nico de Jager apologised to the community of Protea South, adding that he was not aware that some residents were excluded when the electricity project was delivered in the area. He said most of Soweto received electricity directly from Eskom. “We get funding for electrification either from the housing department or the department of energy. I wish we had more control over this, but most of Soweto deals with Eskom directly,” De Jager said. Eskom spokesperson Khulu Phasiwe said even though he might not be fully aware of the dynamics in that area, Eskom connected people based on the list compiled by the provincial departments of housing and the department of energy. “We cannot deviate from the lists for us by the departments of housing and that of energy,” Phasiwe said. What this means is that the 1,600 families on the overflow list might have been excluded by officials when they submitted the list of beneficiaries to Eskom. Matjila said he was engaging stakeholders, including the Menlyn Eskom office in Pretoria, with a view to finding a quick solution.